Synopsis : The monarchies of the Royal Vispasian Union have been bound together for two hundred years by laws maintained and enforced by the powerful Sun Chamber. As a result, nations have flourished but corruption, deprivation and murder will always find a way to thrive ...Receiving news of his father's death Sun Chamber Officer Lucan Drakenfeld is recalled home to the ancient city of Tryum and rapidly embroiled in a mystifying case. The King's sister has been found brutally murdered - her beaten and bloody body discovered in a locked temple. 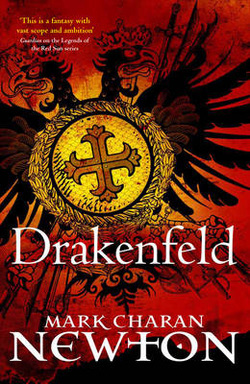 With rumours of dark spirits and political assassination, Drakenfeld has his work cut out for him trying to separate superstition from certainty. His determination to find the killer quickly makes him a target as the underworld gangs of Tryum focus on this new threat to their power. Embarking on the biggest and most complex investigation of his career, Drakenfeld soon realises the evidence is leading him towards a motive that could ultimately bring darkness to the whole continent. The fate of the nations is in his hands.